A belated Happy Mother’s Day to all Mum’s, Grandmothers and Great Grandmothers, I hope you enjoyed a very restful Mother’s Day and were spoilt by your families. Loving God, you provide and care for all your children. Grant that we may always love those who show us the love of a mother. May god who is the source of life, give them joy, blessing and the gift of peace. We welcome Jodi Jones and Petrece Raspin to our staff. Jodi will be replacing Linda Callinan and Petrece will replace Louise Webster, whilst they are both taking some well earned Long Service Leave. 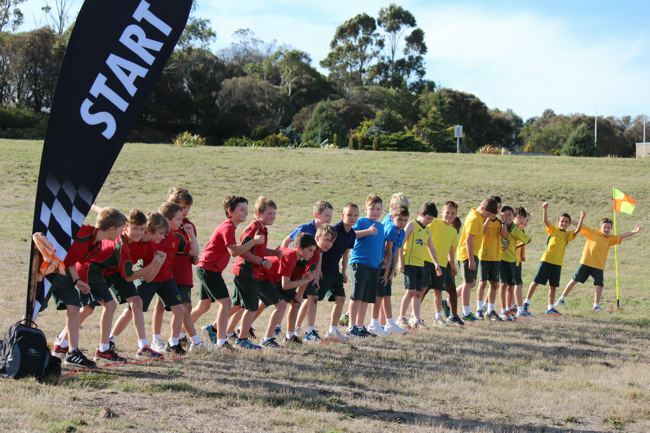 On Friday last week we held our MJR School Cross Country, for Grades 3-6 at the Rokeby Police Academy. The weather was kind to us and students, parents and staff had an enjoyable day supporting and cheering each other on in their races. Many thanks to all parents who assisted on the day and came to watch their children, and to Mr Brasnja for organising the carnival and to all staff who supervised and encouraged the children. A great day was had by all. John Mula, the Director of Catholic Education in Tasmania sent a letter last month to congratulate Corpus Christi Catholic School on our results in Reading. 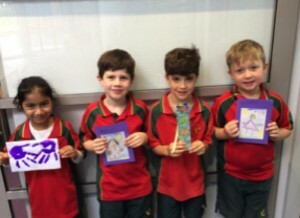 This week, students from Grades 3 and 5 are participating in NAPLAN Testing completing the Spelling and Writing yesterday, Reading today and Numeracy tomorrow. A reminder that school photos will be completed on Tuesday 17 and Wednesday 18 May in the school hall. Prep to Grade 5 photos will be taken on the Tuesday and Kinder and Grade 6 will be taken on the Wednesday. Kinder to Grade 2 students will be in full sports uniform and Grade 3 to Grade 6 students will need to be in full formal uniform. Family photos will start at 8:00am on each of the photo days. Parents must be present to supervise their children. Many thanks to all parents who are available to assist with the organisation of the children and ensuring hair and uniforms are neat and tidy. The Digital Technologies ICAS Test will be held at school on Tuesday 17 May. Student Free Day - A reminder to parents that Friday 20 May is a Student Free Day, due to staff attending the 2016 Tasmanian Catholic Education Conference. His Grace, Archbishop Porteous invites families to join with other members of the Catholic community on the Feast of Corpus Christi, Sunday 29th of May, 2016 in The Walk with Christ event. The walk commences at St Joseph's Church (Hobart) at 1.15 pm, involves a short procession along Harrington Street to St Mary's Cathedral, where the prayer intentions of the community will be presented and veneration of the Blessed sacrament will take place. The walk will conclude by 3pm. Experience our rich Catholic heritage, as we join in solidarity with Catholics from all over the world, and through the ages, in this Walk with Christ. 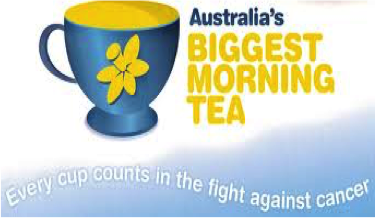 Over the past few years, staff at Corpus Christi have donated over $2,000 to the Cancer Council and this May we are doing it again. 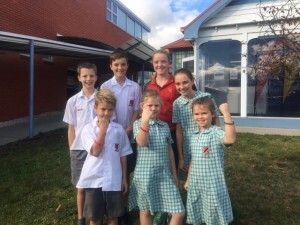 Cancer has affected so many members of our school community and we believe it is a valuable cause to support. If anyone would like to also donate to the Cancer Council, there is a donation box on the counter of the school office. All contributions gratefully accepted and will be sent to the Cancer Council at the end of May. If you require a receipt for tax purposes, please let the office know. Join us to celebrate Corpus Christi Catholic School’s 80th Anniversary. You’re invited to come along to our OPEN DAY Friday 3rd June 2016 11:30am – 1:00pm. We would love to see our parents, grandparents, past students, staff who have worked at Corpus Christi and parishioners - All welcome! The SCHEDULED DIRECT DEBIT Payment will be processed on Tuesday 17 May 2016. • Tasmania Association for the Gifted 2016 State Conference "No Limits"